What is happening to Lumo Bodytech, Inc (the "Company" or "Lumo")? 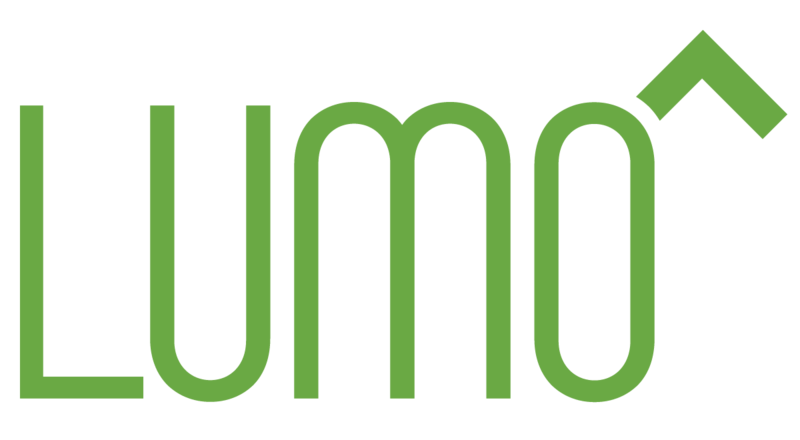 Seismic has acquired the assets of Lumo Bodytech, Inc. For more details, please see the announcement. Lumo Lift is a small device that you wear directly below your collar bone, midway between your neck and shoulder. Lumo Lift is worn under your shirt while the magnetic clasp is worn on the outside of your shirt to hold the Lumo Lift in place. See more on how to wear your Lumo Lift here. Lumo Lift tracks your daily activity and helps you to improve your posture. Lumo Lift works with a free iOS and Android app (available for compatible mobile devices) to show you your progress and give you valuable insights about your posture and activity. Lumo Lift also provides posture feedback vibrations at a time delay, which you can customize through the Lumo Lift app. Estimated Calories Burned (active and passive) - The calories you see in the app are estimate calories, which take into account your BMR (Basal metabolic rate), which is calculated by using your gender, weight, height, and age. These calories can be considered "living calories" i.e. the calories we burn from purely existing. To calculate the total calories burned we add the calories you burn from walking and running to your "living calories" burned. The Lumo Lift app also displays your history, where you can view your historical posture and step data day over day and monitor your progress over time. Please note: The Lumo Lift only provides vibrational coaching feedback on posture while in stationary positions, such as sitting and standing. The Lumo Lift does not buzz or provide posture feedback while in movement, during activities such as walking, running, or driving. The Lift Sensor works along with a magnetic clasp, by design. Magnets may cause electromagnetic interference when used in close proximity with sensitive devices such as Pacemakers. Please consult your physician prior to using the Lumo Lift sensor in close proximity to any such device. If you have any further questions or clarification, please contact us on support@lumobodytech.com or submit a request here. Lumo Lift: What's in the box? Please note that the Lumo Lift kit does not include a Bra Clip. If you need a Bra Clip, please order it here. Where can I find the user guides for setting up my Lumo Lift? Thank you for choosing Lumo Lift! How should I charge my Lumo Lift? Lumo Lift is compatible with Android phones (excluding tablets) running 5.0 or above and with iOS devices running iOS 10.3 or above. It is recommended to use the latest Lumo Lift App available on the App store, that can run on iPhone SE, 5S or newer models, to get the best experience out of your Lumo Lift. Please note that the Lumo Lift is not compatible with iPhone 5C. The latest versions of the Lumo Lift App (Version 4.0 or above) are available only for the devices running iOS 11.3 or above. Lumo Lift currently doesn't integrate with MyFitnessPal. Lumo Lift offers an optional integration with Apple's HealthKit. Can I use Lumo Lift without an App? Lumo Lift cannot be set up without an Android or iOS App. To take advantage of the full functionality of the Lumo Lift, such as viewing your recent/ historical data and changing/ updating your settings, you will need the Lumo Lift App which is currently available on iOS and Android. More information about mobile device compatibility can be found here. How should I wear my Lumo Lift? Lumo Lift should be worn directly below your collarbone. The larger sensor portion is worn underneath your shirt, while the magnetic clasp goes on the outside of a shirt or undershirt to hold your Lumo Lift in place. For most accurate results, Lumo Lift should be worn on a fitted shirt (or fitted clothing). Be sure to reset the Target Posture on your Lumo Lift each time you reposition it or change your clothing. 1. Remove square magnetic clasp from Lumo Lift sensor. 2. Place your Lumo Lift sensor against your body directly below your collarbone. Clip in place using magnetic clasp. 3. Get into good posture, set your Target Posture by pressing and releasing your Lumo Lift once and you’re good to go! What is good posture? How do I get into good posture? We believe that your best posture is your next posture — that is, the best thing you can do for your body is to be active and avoid sitting or standing in one position for too long. However, we know that there are times that staying in a static position is unavoidable. When you’re stuck sitting or standing still, maintaining upright posture with a straight, stacked spine helps you look and feel your best. To get into good posture, imagine your head is being pulled by a string. Lift your chest slightly and draw in your abdominals. Keep your shoulders down and back, and your chin tucked in. When sitting, scoot your hips to the back of your chair and avoid reclining against the seat-back. What are good posture minutes? In the Lumo Lift app, your Dashboard will show you your good posture minutes every hour. You will receive a “good posture minute” for every minute you remain in good posture. Good posture is determined by adherence to your set Target Posture. Can I connect my Lumo Lift to multiple devices? No, your Lumo Lift sensor will only connect to one device at a time. We suggest connecting it to your primary device. Clean the sensor and the charging dock of any dust. Make sure the charging contacts on your Lumo Lift are aligned with the contacts on the charging cradle (gold-colored charging dots). Be sure the clasp is attached to your Lumo Lift while charging. Place the unit on the charger, give it a minute and make sure an orange or green light appears on the LED. If there is no light, unplug the charger and plug it into a different USB port or power source and try to charge the Lift Sensor again. If you are still unable to charge your Lift Sensor, please submit a request here. What are the adhesives for and how should I use them? Our custom, single-use adhesives are another great, hassle-free way to wear your Lumo Lift. They provide an alternative wearing option to the magnetic clasps. Perfect for those times when you prefer to discreetly wear your Lumo Lift under your clothes or when your shirt makes it difficult to place your sensor. See http://www.lumolift.com/adhesives to learn how to use these adhesives. View a demo on how to wear these adhesives. How to use the Adhesives? Step 1: Peel one of the white, non-sticky sides off of the adhesive. It does not matter which side you peel off first. Step 2: Place the sticky side of the adhesive directly to the bottom of your Lumo Lift. The bottom of your Lumo Lift has two gold charging dots. Step 3: Now that you have successfully placed one side of the adhesive to the back of your Lumo Lift, peel the second white, non-sticky side off of the adhesive. Step 4: Place this newly revealed sticky side to your skin. Place your Lumo Lift directly below your collarbone, about halfway between your neck and shoulder. Step 5: Press once on your Lumo Lift to set your Target Posture. Your Target Posture is set once you feel three vibrations. Remember to set your Target Posture throughout the day as you change positions. Step 6: For removal, gently peel your Lumo Lift off of your skin. The adhesive will stick to the back of your Lumo Lift as you do this. Step 7: Peel the adhesive off of your Lumo Lift. Adhesives are for single-use only and cannot be used to reattach your Lumo Lift once you have removed it. When using the adhesives, we recommend alternating which side you wear your Lumo Lift on to prevent placing the adhesive in the same place daily. Adhesives are single-use only. Using an adhesive more than once may result in loss of your Lumo Lift as they are not sticky enough to securely hold your Lumo Lift after they have been removed. You do not need to wear the magnetic clasp when you are using the adhesives. The magnetic clasps do not affect the functionality of your Lumo Lift. Please click here to order the adhesives. Do not use on damaged, broken or sensitive skin. How to "Hard Reset" my Lumo Lift? Could I turn the Lumo Lift, OFF? The Lumo Lift cannot be turned off. When not in use, we recommend placing the Lumo Lift in the charging cradle. If the sensor is buzzing when placed in the charging cradle, press the sensor once. If you'd like to prevent the Lumo Lift from syncing to the App, please force-close the Lumo Lift app. If you'd like to turn off posture feedback, please read the following article for further directions: Why is my Lumo Lift buzzing? Could I use Lumo Lift with a Pacemaker? The Lift Sensor works along with a magnetic clasp, by design. Magnets may cause electromagnetic interference when used in close proximity with sensitive devices such as Pacemakers. Please consult your physician prior to using the Lumo Lift sensor in close proximity to any such device. If you have any further questions or clarification, please submit a request here. 1. Place the sensor in the charging cradle, with the cradle connected to a USB power source (e.g. a USB port on a laptop, or a USB charging block). 2. With the sensor in the cradle, press and hold the sensor button for 15-20 seconds or until the device LED flashes blue / purple and vibrates once. If the sensor behavior does not change, please submit a request here. How can I return my Lumo Lift? We are sorry to hear that you would like to return your Lumo Lift. We strive hard to improve the experience for our customers, every day and would love to hear more from you on what went wrong with your Lift, so that we can help you get the best out of your Lift. Once you’ve contacted us, we will review your request and will be in touch with you via email with an RMA number and instructions on how to return your Lumo Lift. PLEASE NOTE: Lumo Bodytech does not accept returns purchased through third party retailers. Please also note that the Lumo Lift has a 30-day return policy starting from the date your order was shipped. Please DO NOT send your Lumo Lift to our warehouse or offices, without an RMA number, as we will not be able to issue a refund without this information. We do not provide shipping labels for Returns. The Lumo Lift is not waterproof, so please do not submerge your Lumo Lift in water or put it in a washing machine. We also do not recommend wearing Lumo Lift during your workouts, as excessive sweat may also damage the sensor. If your lift has been subject to a water damage, please submit a request here. Please see the Lumo Lift guide, for more information. 1. Take your wet Lumo Lift and dry it carefully from the outside as best you can. 2. Place the sensor in a bowl of rice for 3-4 days until all moisture has been removed. 3. Try to charge the Lift. A green LED light will appear when fully charged. 4. Try a hard reset. If your Lift still does not work after following these steps, please submit a request here. How do I reset my Lumo Lift? Please note, you will lose previous data if you reset your sensor without backing up your data beforehand. How can I improve the battery life of my Lumo Lift? The battery life of the Lumo Lift sensor greatly depends on the usage of the sensor. To maximize the battery life, we recommend force-closing the Lumo Lift app when not in use. This will prevent the sensor from syncing to the dashboard while the app is in the background. We also strongly encourage opening the Lumo Lift app each day to sync the sensor to your Lumo Lift account. Please ensure you regularly charge your Lift Sensor for use.